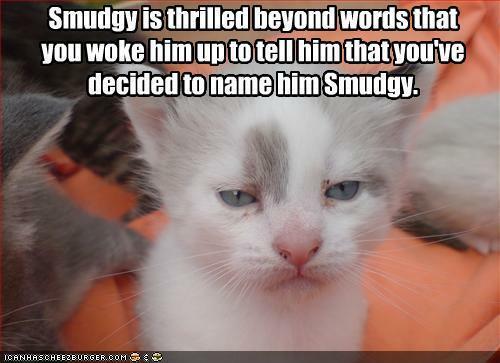 Smudgy Is Thrilled Beyond Words.. . Wallpaper and background images in the Animal Humor club tagged: cat funny lolcat kitten. This Animal Humor photo contains tom and tomcat. There might also be kitten, kitty, cat, and true cat.